Many who pursue a career as an HVAC Technician (and other related skilled trades) do so because they enjoy this type of work. It’s also a career that can be challenging and rewarding at the same time. For those pursuing a career as a HVAC Technician, it’s important to keep in mind that safety must always be a high priority. According to the US Department of Labor, Bureau of Labor Statistics, Heating, Air Conditioning, and Refrigeration Mechanics and Installers (positions that can be filled by HVAC Technicians) have a high rate of potental injury or illness.a This is due to a number of factors including the risk of electrical shock, burns, muscle strains, and other associated injuries that could happen from handling heavy HVAC-related equipment. In addition, for those working on refrigeration systems, refrigerants need to be handled with great care and safety. If mishandled, refrigerants can cause frostbite, skin damage or even blindness. Since it’s not uncommon for HVAC Technicians to work in tight workspaces, they should also be cautious not to inhale refrigerants as well. Some refrigerants require additional safety precautions because they are highly flammable. HVAC Technicians must abide by EPA rules and regulations on the job when handling materials such as refrigerants and gasses to ensure their safety as well as the safety of those around them. It’s important to realize that there are risks associated with any job or occupation. The potential safety risks associated with working as an HVAC Technician should not discourage someone from working in this field, however, it is important for those entering this field to be aware of the importance of safety and to ensure that safety is a key area of focus in their training. Based on the employment projections in the coming years, HVAC Technicians will be in-demand and pursuing a career in this specific field could be a good choice for those looking for a job in a growing, stable field. HVAC Technicians can work in a variety of environments, however, the majority work for plumbing, heating, and air conditioning contractors. As part of their daily duties, HVAC Technicians may be required to travel to their customer’s location (whether it be a residence, business, public building, etc.) to perform inspections, repair, or install new equipment. In those cases, employers may rely on their HVAC Technicians to possess a valid driver’s license to ensure they have the necessary transportation to travel to and from various work locations. It would also not be unheard of for an HVAC Technician to undergo a background check as a condition of employment. This is because some HVAC Technicians will perform work inside of residential homes and depending upon the employer, the background check may be required for technicians they employ. With any job or employer, it’s always a good idea to check the job description for specific requirements that are associated with the position in advance. This helps any candidate ensure that they are aware of the needs and requirements set forth by the employer prior to formally expressing interest in a position. Attaching or removing parts such as hoses and gauges to and from appliances in order to measure the pressure of an appliance. Adding refrigerants or removing refrigerants. For an HVAC Technician, they will need to become certified in order to obtain employment in the field since they will be handling refrigerants, and the EPA requires that these individuals be certified.a Many schools/programs have incorporated preparation for the EPA Section 608 Exam(s) in their HVAC training, but it’s never a bad idea to look at this as something to consider when looking at their school options. For some, part of the appeal of becoming an HVAC Technician is the fact that no two days are the same (and honestly, no two service calls will likely be the same). HVAC Technicians will be dispatched to jobs where they may need to troubleshoot equipment, perform maintenance on equipment, repair damaged equipment, install new equipment or replace old equipment. We’re simplifying it here, but there’s a lot that goes into performing any of these specific tasks as an HVAC Technician. We took a look at O*NET OnLine and they have a great description of the various tasks associated with being a Heating and Air Conditioning Mechanic and Installer that you can check out by clicking here. They also have a similar section that outlines the common tasks associated with being a Refrigeration Mechanic and Installer that can be accessed here. Both resources are helpful because they have compiled a list of potential job duties someone may fulfill if they were working in the field as an HVAC Technician. As previously mentioned, HVAC Technicians will often be dispatched to their worksites, whether they be a residential home, a business, or a public building such as a school or a hospital. As a result, part of their job on a daily basis will be customer service. 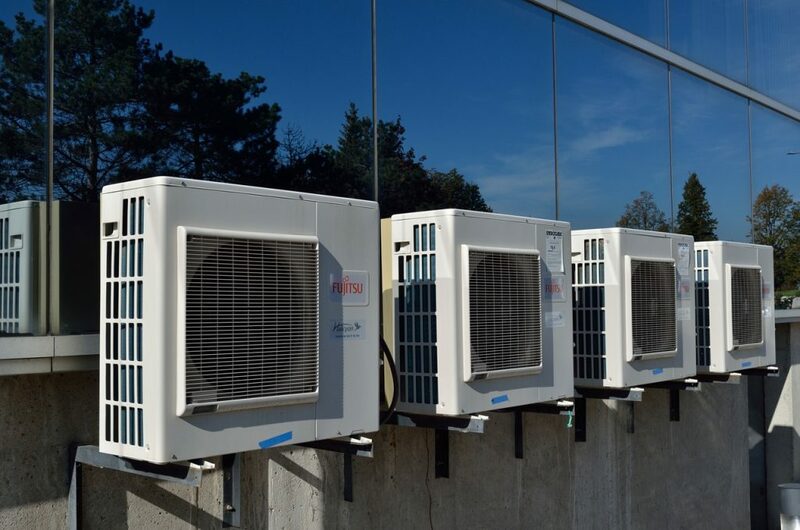 Even if the HVAC Technician’s services are being arranged through a contractor/contracting service, the Technician them self is the “face” of the company and will need to ensure the client is satisfied with the work being performed and the outcome. In addition, HVAC Technicians will often need to communicate with their customers (especially in instances when something is broken and/or may need to be replaced) so it’s important that they have good communication skills and are able to interact well with others. Working as an HVAC Technician is a hands-on career. Not only does someone have to possess the technical expertise, but they should also be skilled at working with other people and knowing what to expect when “on-the-job.” Like many other hands-on careers, when thinking of becoming an HVAC Technician, it can be beneficial for someone to choose a hands-on training option/program. This is beneficial for a number of reasons. First, a hands-on environment allows you to practice what you’re learning and learn by doing. Second, a hands-on environment will potentially give you an opportunity to experience conditions similar to what you may see once you’re out working in the field. Third, a hands-on program can provide opportunity to test things out and troubleshoot and as we’ve mentioned already, troubleshooting is an important part of an HVAC Technician’s role. Lastly, hands-on learning often allows someone the chance to interact with others, which can help strengthen their communication and customer service skills (which are both important for a career as an HVAC Technician). There are a number of options out there for someone looking to pursue a career as an HVAC Technician and ultimately, you need to choose a program that is going to be the best fit for you and your goals. It’s hard to overlook the many benefits in receiving hands-on training if you’re interested in pursuing a job as an HVAC Technician, so be sure to keep this in mind when considering your options. The HVAC Systems Technician diploma program at Dorsey Schools is designed to allow students to study maintenance, inspection, troubleshooting and the repair of related equipment. Dorsey’s HVAC Systems Technician program provides the opportunity to learn through class work and an externship. Students can also gain knowledge of the practicalities and technicalities of HVAC systems. The curriculum at the HVAC Systems Technician program at Dorsey Schools includes basic workplace skills and the fundamentals of HVAC, electricity, refrigeration, and residential and commercial systems. Additionally, blueprinting, system design, and the now topical environmentally-friendly practices of weatherization and sustainability are taught. Students will also have the opportunity to prepare for and challenge the EPA Section 608 Type 2 Certification exam, which is generally required to work in the heating, ventilation, and air conditioning industry. Dorsey Schools will pay the cost one time for students in this program to challenge a certification/licensure exam as selected by Dorsey Schools, contingent upon the student meeting Dorsey Schools’ exam preparation requirements, which vary by program. The HVAC Systems Technician program is currently offered at the Dorsey Schools Wayne MI campus. To learn more about the HVAC Systems Technician Program at Dorsey Schools, call 888-422-1188, or contact us. a Bureau of Labor Statistics, U.S. Department of Labor, Occupational Outlook Handbook, 2016-17 Edition, Heating, Air Conditioning, and Refrigeration Mechanics and Installers, on the Internet at http://www.bls.gov/ooh/installation-maintenance-and-repair/heating-air-conditioning-and-refrigeration-mechanics-and-installers.htm (visited March 17, 2016). b Michigan DTMB, Bureau of Labor Market Information and Strategic Initiatives, Long-Term Occupational Employment Projections (2012-2022) Michigan Statewide, Heating, Air Conditioning, and Refrigeration Mechanics and Installers (SOC Code: 49-9021), http://milmi.org/admin/uploadedPublications/2350_LongTerm_OccupationalProj_2022_MI.xls (visited February 15, 2016).